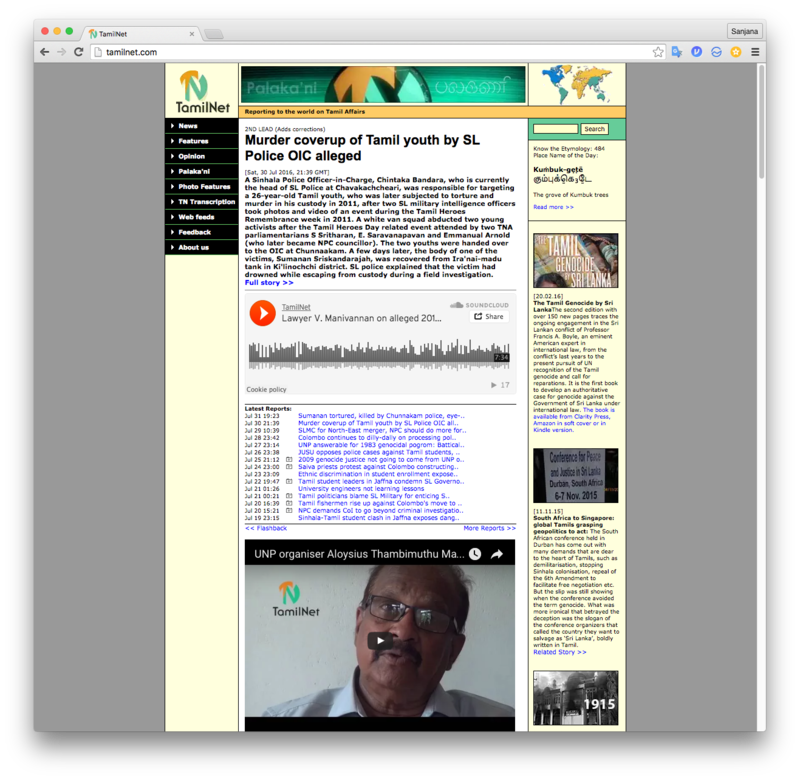 Blocked from major ISPs during the war, Tamilnet has continued to report on issues in the North and East for several years, from a perspective that one may not agree with and indeed, fully believe, but vital for a fuller appreciation of ground realities even post-war. It is now accessible freely in Sri Lanka. Download an archive of the site, taken late July 2016 here (file size is 1.5GB). Download second archive of the site, taken 30 April 2018, here.